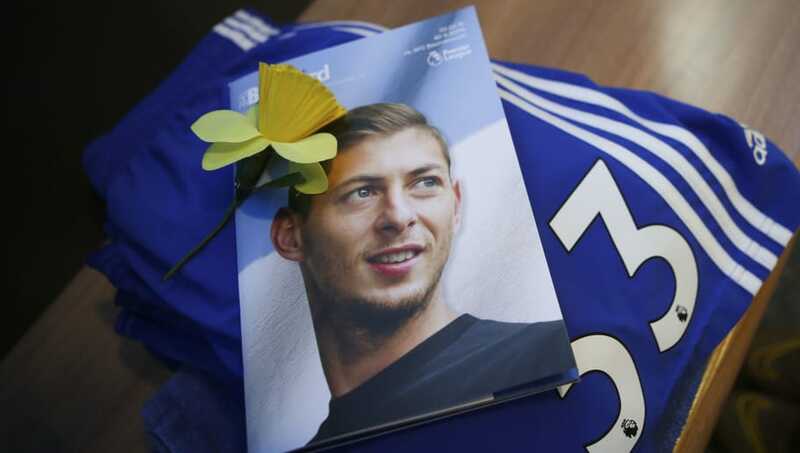 ​The Air Accidents Investigation Branch (AAIB) has confirmed that a body has been spotted amidst the wreckage of the crashed plane carrying Cardiff striker Emiliano Sala. Sala's family were informed on Sunday that the wreckage of the Piper Malibu light aircraft which disappeared over the English Channel two weeks ago had been found on the seabed following an underwater search. Sala and pilot David Ibbotson were the only two occupants of the plane. "Having identified a priority search area last week, the AAIB agreed a search strategy with Blue Water Recoveries Ltd to maximise the chance of locating the aircraft wreckage," AA​IB said in a statement. "Early in the search, the Morven identified an object of interest on the seabed using its side-scan sonar equipment. "It cleared the immediate area for the Geo Ocean III to use its underwater remotely operated vehicle (ROV) to survey the area of the seabed in which the object was located. "Based on analysis of ROV video footage, the AAIB investigators on board the vessel concluded that the object is wreckage from the missing Piper Malibu aircraft, registration N264DB. "Tragically, in video footage from the ROV, one occupant is visible amidst the wreckage. "The AAIB is now considering the next steps, in consultation with the families of the pilot and passenger, and the police." An interim report will be published within one month of the accident.